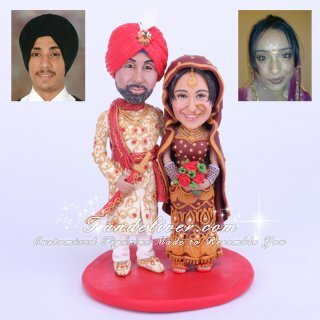 This is a completely customized Sikh Tradition Indian theme wedding cake topper ordered by one of our customers. The groom is around 5.11"-6 ft and bride is only 5.4", so they would like their figurine to include these details. 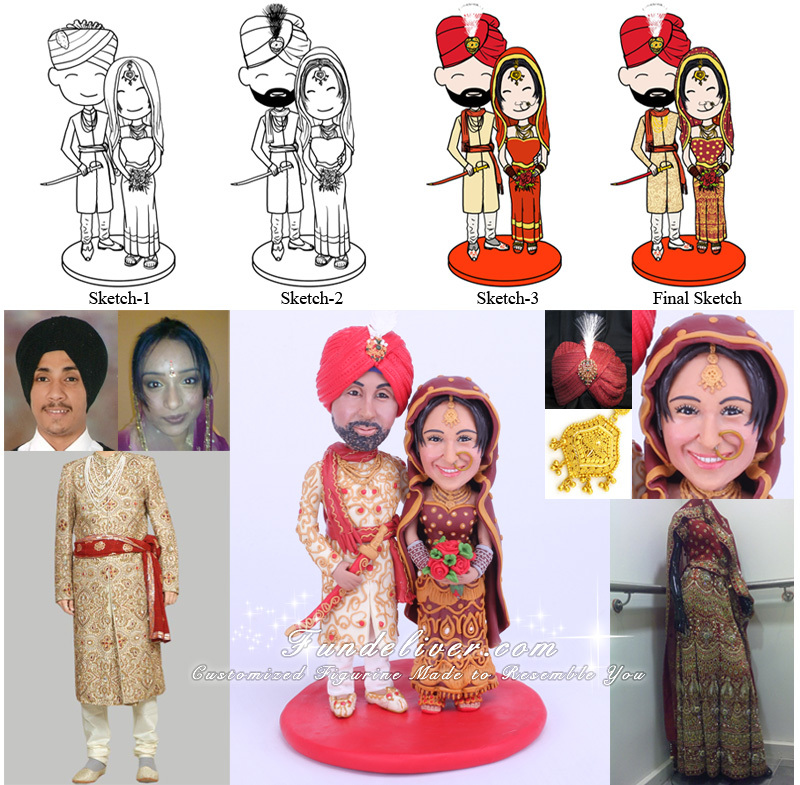 In Sikh tradition bride has her scarf on her head so she would like her figurine to have the same scarf. Her figurine is in traditional Indian outfit, wears a forehead ornament (tikka), nose piece, jewelry and red and gold bangles. As for the groom he wears a red turban with a head piece on it and carries a red sword. Love this Indian Cake Topper? Why not have all your laughters, sari apparels put in your wedding cake toppers or centerpieces? What could be more meaningful than a cake decoration that reminds everybody of your Sikh or Indian wedding cake toppers reflecting your origins?